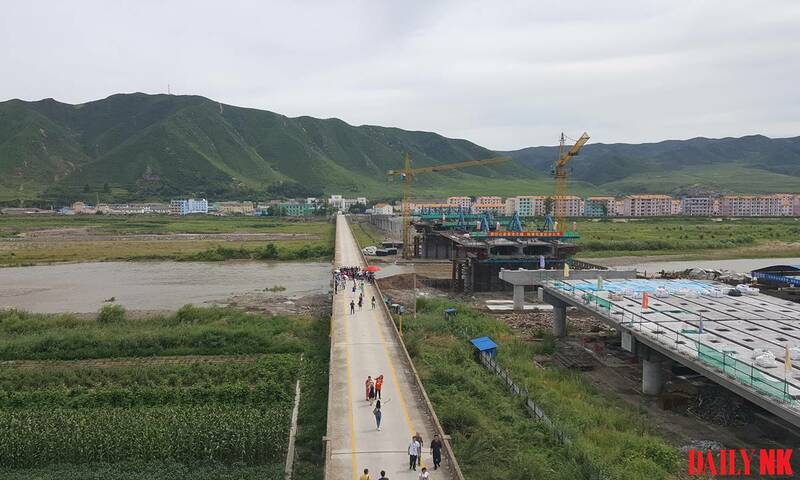 On November 10, a celebration was held to mark the completion of the final decking on a new bridge over the Tumen River connecting Namyang District in North Hamgyong Province and the Chinese city of Tumen. 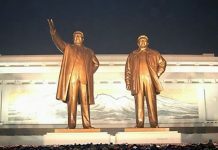 Observers say that the bridge will likely help invigorate existing Sino-North Korean trade. 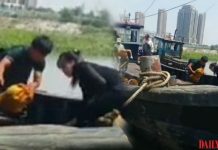 A video obtained by Daily NK shows the event being held on the new bridge, which is next to the old Tumen River Bridge connecting Tumen and Namyang. 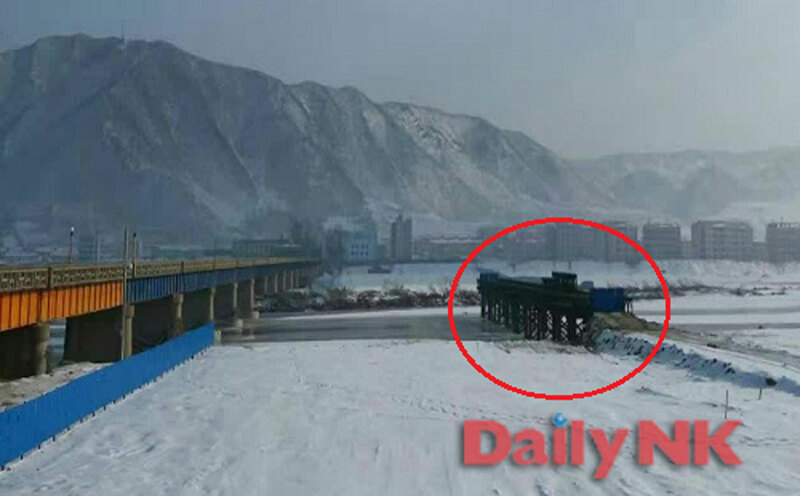 North Korea’s state-run Korea Central News Agency reported in September 2016 that North Korea and China had “concluded an agreement to jointly construct and maintain a bridge connecting Namyang and Tumen.” The bridge had since been under construction for two years. The footage shows two cranes picking up the final pieces of decking before moving to a scene celebrating the completion of the bridge with a fireworks show. Although the ash-colored bridge posts and decking appear completely finished, construction materials can still be seen strewn around the bridge. The bridge will likely be operational from early 2019. 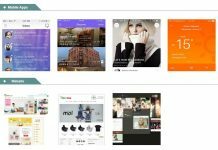 Some analysts suggest that the bridge is the result of shared economic interests between North Korea and China. The new bridge is also useful from a Chinese strategic perspective because the country is interested in increasing trade through North Korea’s Najin and Chongjin ports on the East Sea coast. The new bridge is instrumental for China’s Changjitu Project, aimed at turning the area surrounding Changchun, Jilin and Tumen into a logistics center for East Asia.